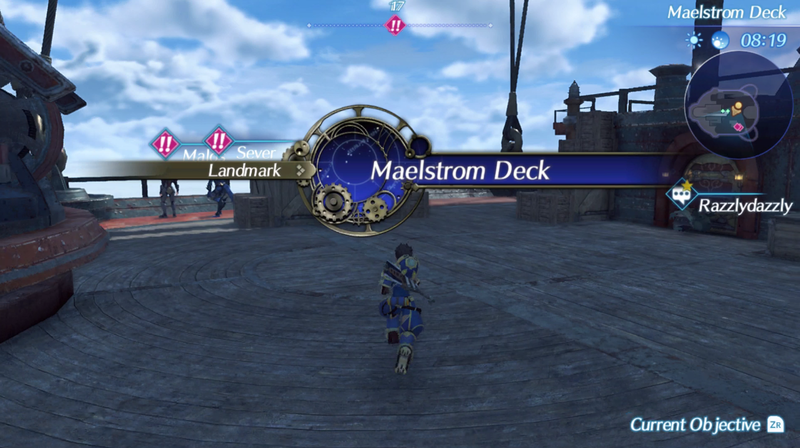 Usually when I sit down to write about the JRPGs I played over the past month, I’m a little surprised at how many games I managed to play and how distracted I managed to get from whatever JRPG I’ve been supposed to be focusing on most. In November however, it appears I was very true to my goal of playing a lot of .Hack// G.U. Last Recode as I only played a few other experiences on the side. Thanks to this, I made a bunch of progress in G.U. 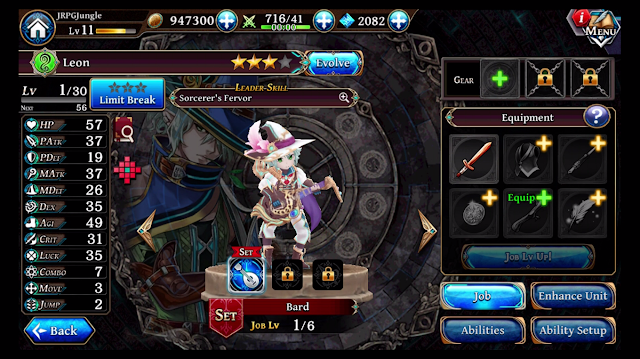 and I’m thankful for that, although I did occasionally get distracted by my new favourite JRPG mini-game ever and the time I wanted to put aside to get back to Persona 2 got completely eaten by the Alchemist Code’s surprise release. Even if it makes for a shorter video, I feel very satisfied with my JRPG progress last month, so here are all the JRPGs I Played in November. 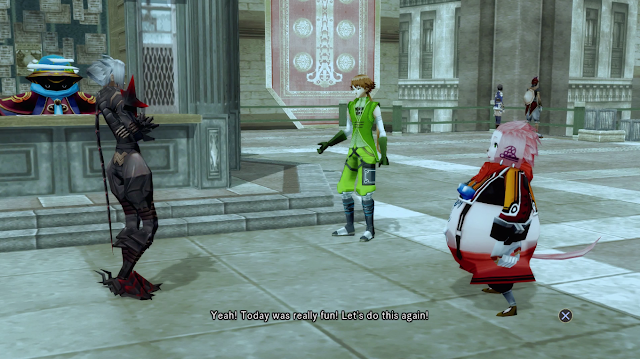 .Hack// G.U. Last Recode probably would’ve qualified for JRPG of the month purely from how much I played it, but it deserves it as I really enjoyed playing it throughout the month. I got through two volumes completely, just started the third on the last day of the month and I’m not ready for it to end. I’ve become very attached the characters in it more and more throughout its volumes and much like real MMORPGs, I feel more immersed in its world the more I play. On top of its captivating story, I’ve been really enjoying watching its combat and mechanics grow and change in small ways in each volume. The active battle system has become more fun by keeping me on my toes a little bit more in each volume and I’ve strangely become obsessed with upgrading my .Hack bike with new parts whenever they’re available and thanks to these things and plenty more, I’m generally having a lot of fun with Last Recode. I do plan to do a full review of it once I finish with it, but Last Recode has both scratched the itch I’ve had to play a .Hack game ever since I tried a different part of the series on PS2 years ago, while also managing to be even better than I expected. 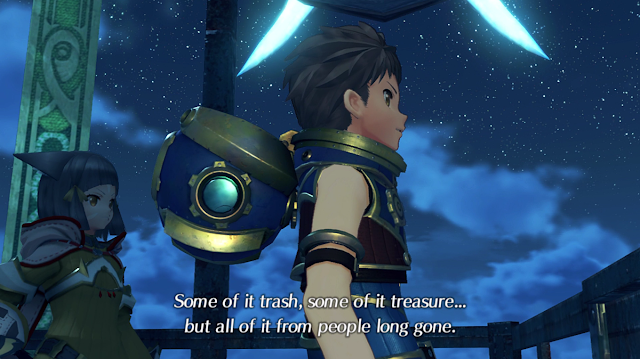 I just got a little bit of time with Xenoblade Chronicles 2 during the last hour of November thanks to still using Australian digital game stores and having my game pre-loaded for what ended up being midnight December 1st in Australia and 10pm November 30th here. I only played half an hour since I didn’t want to get too into while I’m still playing .Hack// G.U., but as soon as I started unlocking landmarks I could tell that this is probably a very big world to explore. It’s very early days for me with Xenoblade Chronicles 2, but this little peek into what will probably consume me during December looks pretty big and potentially interesting so far. Just when I thought I would finally get some Persona 2 time, the Alchemist Code announced itself as finally coming out globally mid-November, so I decided to keep myself free for its mid-month release. While I wasn’t able to have as much time as I would’ve liked for portable games in November, my playthrough of its first few acts has consisted a lot of learning its tactical and character upgrading systems that I couldn’t fully get my head around in the Japanese version and I think I’m just about the point where I’ve gotten the hang of them enough to really enjoy them. What really excited me about it was seeing its unsettling introduction in a way I can fully understand and being reminded of how excited I felt when I first played it. I’ll be sticking with it whenever I can to see where the story goes and I hope I get really comfortable with its systems soon so I can get as far in as I can on the go. Since my favourite part of Final Fantasy XV was its quests, I couldn’t help but take a little bit of time to try its new multiplayer expansion Comrades, especially since it’s included in my Season Pass. I entered it with pretty much no expectations as I’ve been generally less into XV over the last few months, but as soon as I saw the familiar faces of side characters from Final Fantasy XV’s universe, I started to remember why I loved it so much in the first place. 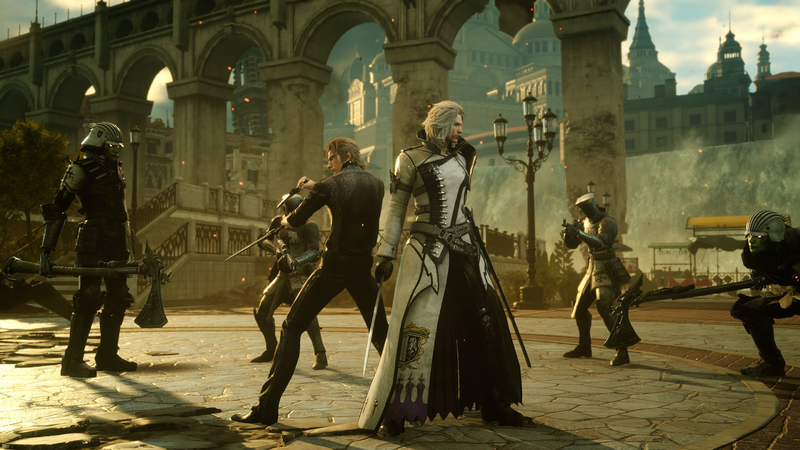 I won’t spoil the premise of Comrades as it does relate directly to XV’s story, but it works really well as a setting for an online game, with the quests and their purposes making a lot of sense when I think about XV’s world. 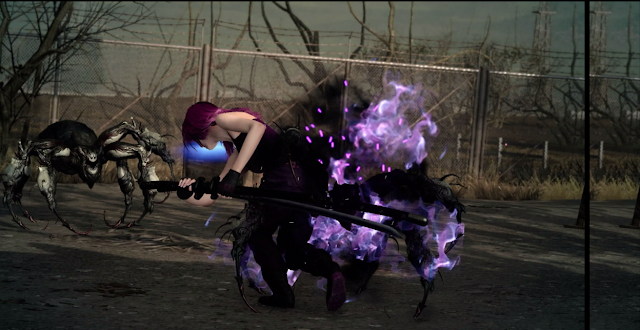 Although Comrade’s combat is a little simple, I enjoyed warping around and smashing down enemies just as much as I did in the core Final Fantasy XV experience. Comrades is an experience I definitely want to jump back into at some point and I’m glad to see it embracing the quest and character side of things that I thought was the best part of Final Fantasy XV. 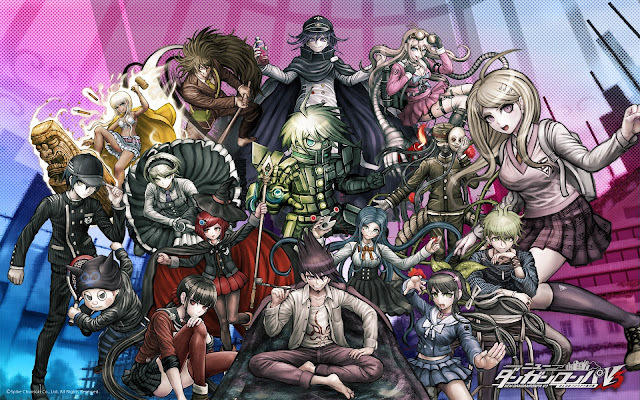 I spoke vaguely last month about a Danganronpa-related JRPG experience that I was really into and that experience is Despair Dungeon: Monokuma’s Test. I still wanna keep things completely spoiler-free for those playing Danganronpa V3 that like to keep this kind of thing a surprise, but the main thing I wanted to say is that I absolutely recommend this if you’re a fan of the Danganronpa series, character upgrading and JRPGs. I played Despair Dungeon for two days straight and more here and there because I really like its character upgrade system and while I’ve put it down for when I eventually go for V3’s platinum, if you’ve finished Danganronpa V3 feel free to check it out or my review of it to see if it’s something you might be into. 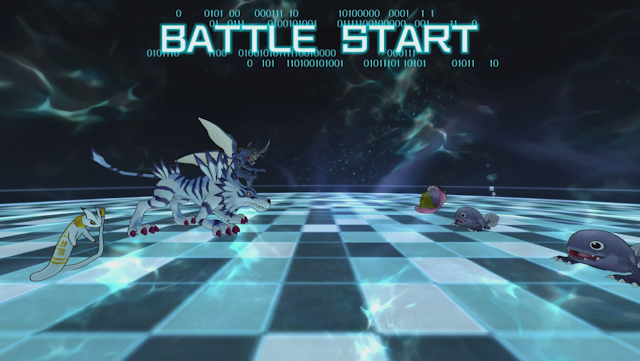 While I had been keenly waiting for the release of the Alchemist Code for a while, I did find out one thing about my gaming habits since it’s been out: sometimes I am just too damn tired to play a tactical JRPG and that is where Digimon Links comes in. Digimon Links is a nice, easy smartphone JRPG to jump into to quickly check on my DigiLabs and do a few short rounds of turn-based battle. I didn’t play it that much, but I’ve been glad to have it on my phone for when my portables are at home and I want a JRPG that is both interesting yet simple to play. Like a lot of JRPG fans, my JRPG plans for December consist of Xenoblade Chronicles 2. It’s my first Xenoblade game and I haven’t set foot in an open-world JRPG for a while, so I’m very keen to explore it as my primary focus for December. This will also be the first full game I’ll be playing on my Switch so it’ll be a good experience of getting to know the console better as well and I can’t think of a better way to do it than with a gorgeous looking open-world JRPG. Also coming out in December is Final Fantasy XV's Episode Ignis, which I’ve been excited for ever since it was announced. Ignis is by far my favourite character in Final Fantasy XV for his serious and recipe-filled moments and from the trailers, I’m very interested to see how this gap of the story will be filled. I enjoyed both Episode Gladiolus and Prompto, so I feel confident that Episode Ignis will deliver and I’m crossing my fingers it’ll be the best Episode out of the three. It is also thankfully probably going to be only a few hours long, so it won’t take away much from Xenoblade time. But before I even get to either of these, I really want to finish .Hack//G.U. Last Recode since I'm over the halfway point and I probably won't get hard into these two experiences until I do. Finally, I did have the itch to get back to some kind of Persona game towards the end of November, but I’m sure an open-world JRPG like Xenoblade Chronicles 2 will take a fair bit of time, so my return to platinuming Persona 5 or finishing Persona 2 will depend on how long I play Xenoblade 2. I’ve kind of come to terms with the fact I may not finish either of my Persona goals by the end of 2017 and I’m okay with it. There’s still 2018 to continue with old and new Persona experiences, so I’ll be giving as much time as I can to Xenoblade Chronicles 2, Episode Ignis and whatever else without any regrets throughout December. You can pick up (or pre-order) a majority of these games on Amazon! What did you play in November? And what will you play this month?